Exploring Iceland is on many people’s bucket lists. From wandering Reykjavik on a weekend to getting out and seeing the coast, there is plenty to do in this island nation. Having recently returned from a 5-day trip to this beautiful country, I wanted to provide some fantastic highlights that should be done on a quick trip. Keep in mind, it is winter and weather can be a factor, but we also rented a car. If you do not want to rent a car, most arrangements can be made with a tour. After arriving into Reykjavik there are two options: head straight to the hotel and drop off your bags and hope your room is ready or pay for the pre-night to guarantee your room is ready, which is recommended. If you can get into your room, then grab a quick nap. If you are not willing to pay for a pre night, then consider doing a stop at the Blue Lagoon to rejuvenate. In the afternoon participate in a walking food tour. It’s a great way to shake off the cobwebs of flying and see the city, tasting a variety of food, meeting other travellers, and learning about local life along the way. In the evening, you will have time at leisure. We were fortunate that we knew there were supposed to be Northern Lights that night, so we hopped in our car and drove out to a national park to stare in awe at the sky. This day has plenty of possibilities. 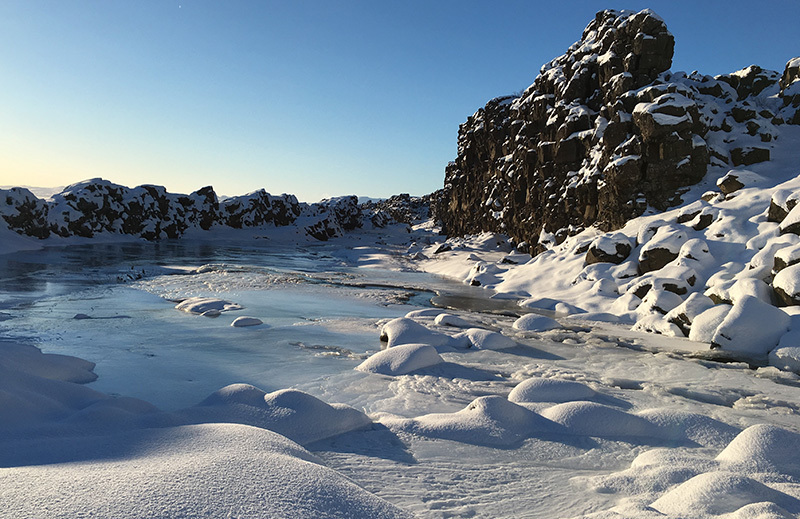 You can enjoy a very cool experience of snorkelling between the tectonic plates, drive an ATV up the local mountains to enjoy views back over the town, or consider doing a snowmobile tour in winter. Each activity has the appropriate clothing for you provided you have your own good shoes. These activities will add a bit of adventure while allowing you to explore outside Reykjavik. If you have time between activities, head into town to explore one of the many museums. Tonight, enjoy a nice dinner in Reykjavik. 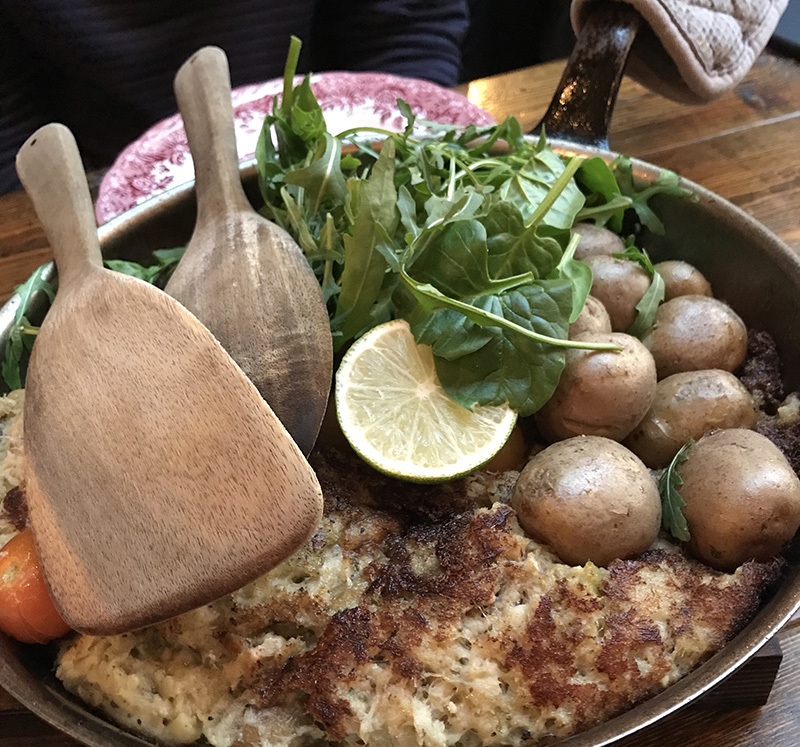 From a Jamie Oliver Restaurant to the Fish Company to any number of local off-the-beaten-path restaurants, there are plenty of great options to choose from. After dinner, get out and explore and enjoy the famous nightlife in this bustling city. This morning you will pack up and get moving. 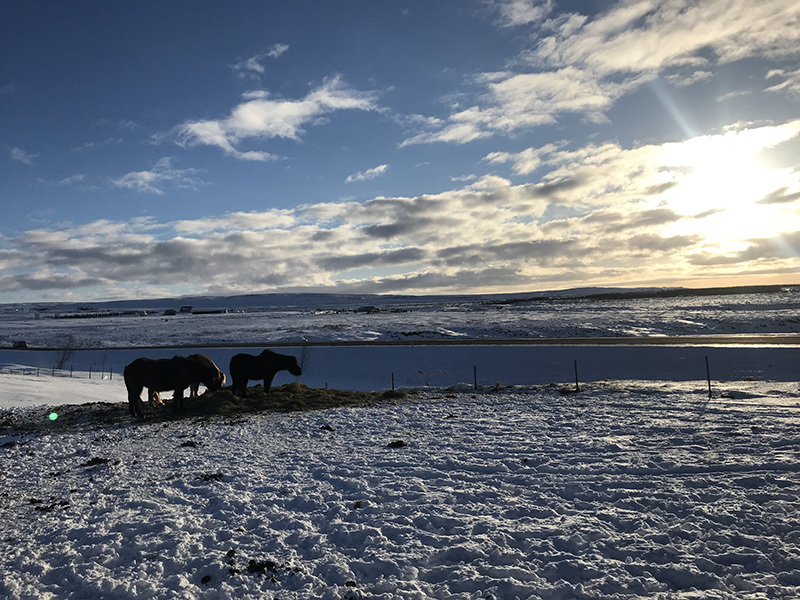 Head northeast of Reykjavik to the beautiful national park passing ski hills and stunning topography. Follow the road to the famous Gullfoss falls. The falls are not only beautiful in the winter, but offer a frozen adventure. From Gullfoss, you will visit the famous Geysir. Watch it explode and the steam catch the wind, before hopping back in your car. Enjoy the view as you drive to the south towards Vik. Along the way, plan to stop at the Secret Lagoon and see some more beautiful waterfalls. Stop to photograph the famous horses that live in the fields, with beautiful mountains as the backdrop. Upon arrival in Vik, check into your hotel and relax for the evening. This morning consider doing a super jeep tour to the ice caves. Wake up and put on your good waterproof boots as you may be crawling and putting your feet in icy puddles. You will be collected in a giant Jeep that goes off the highway and drives across the snow and out to the glacier to go on a walk in the ice. Learn about this beautiful region around Vik and the beauty of the ice as you work your way across the landscape. After a visit to the cave, you may get to explore the black sand beach before returning to your hotel. This afternoon you will drive back to the Reykjavik area. This evening, it’s smart to splurge on your accommodation. 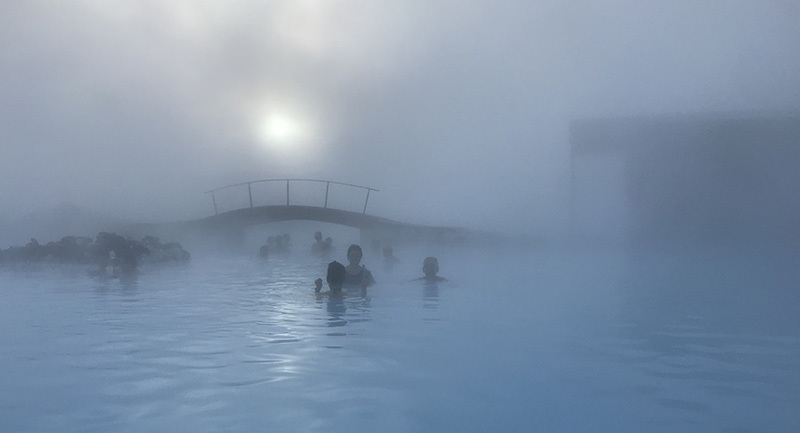 A great choice is spending your last evening in Iceland at the Retreat at the Blue Lagoon, a fantastic 5-star hotel attached to the famous hot springs. However, if the crowds are too much at the Blue Lagoon, you can simply spend time swimming in the lagoon that is for hotel guests only. Spend your morning relaxing. Divide your time between the self-treatment rooms of the Retreat Spa and the two lagoons before you check out and head to the airport and say goodbye to Iceland.